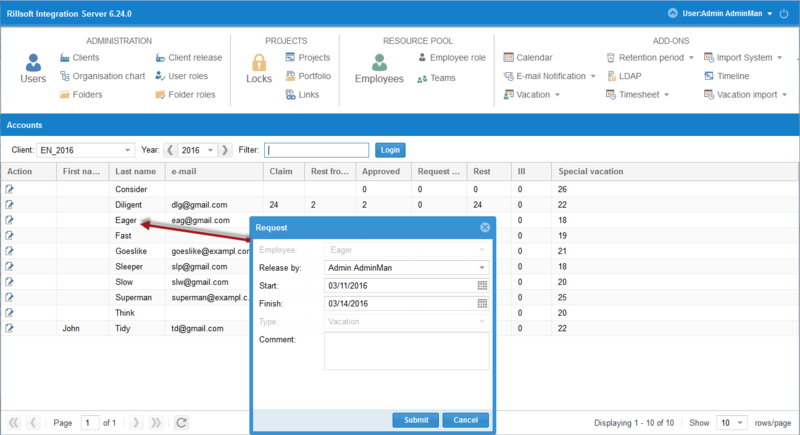 Vacation planning module allows an optimal managing of holidays and absence of employees. Enter the preferred vacation dates of employees via the web interface. Check if there is an overlap between the in the request set vacation days and scheduled activities. Approval of registered vacation dates (based on the Vacation planning organization chart). Flexible summary of the absence of all team members. Import of vacation days from other applications.